We here at DL love ourselves some Swype. But you know what we love even more? 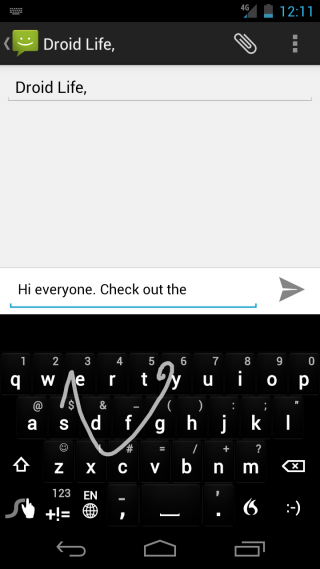 Themed Swype. So, when we stumbled upon this treasure chest of different themes we just couldn’t resist sharing it. For those who have troubles choosing which colors they want, don’t fret. There are enough choices to have a new color every day of the week. But, there are a few different versions available so make sure you install the right ones. Depending on which phone you have, will determine which version you need. If you are a G-Nex owner, make sure to download the apk’s from the G-Nex section on the bottom. Update: Well, the amount of traffic we sent over has crashed their site. Cheers, DL community! You can grab all the themes here for now. Thanks for the mirror! We can’t host the apk’s ourselves, so head on over to JBThemes for the full list and download links. No root required.